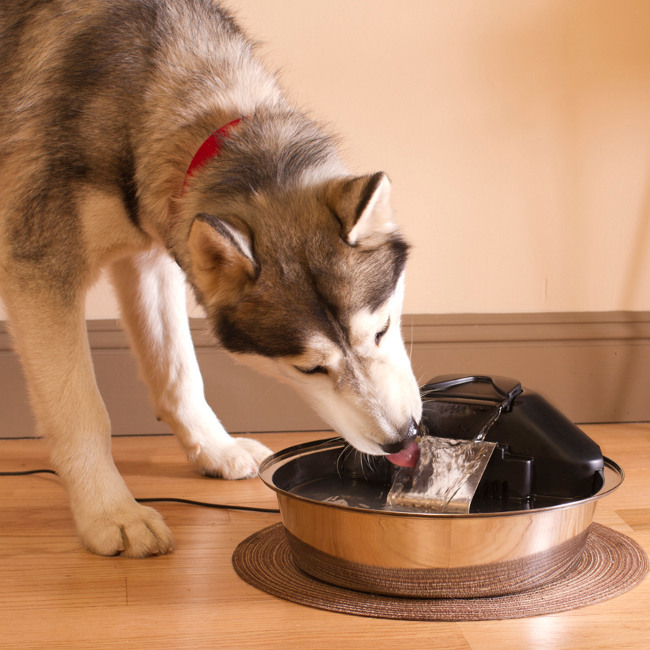 Offers your pet one gallon of fresh, filtered water in a stylish bowl. 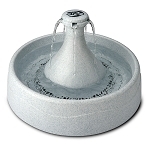 This stainless steel fountain features an extra-wide patented free-falling stream that draws oxygen into the water, making it more appealing to drink. 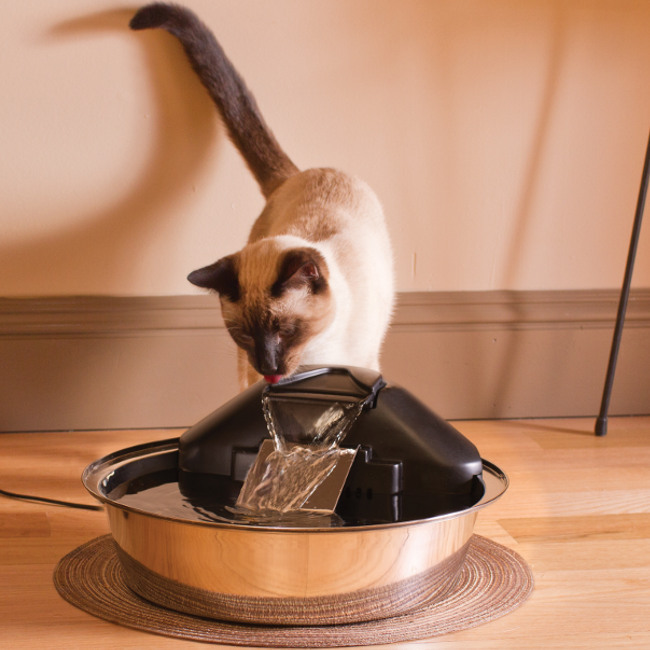 The new Drinkwell Zen Fountain offers your pet 1 gallon of fresh, filtered water in a stylish stainless steel bowl. 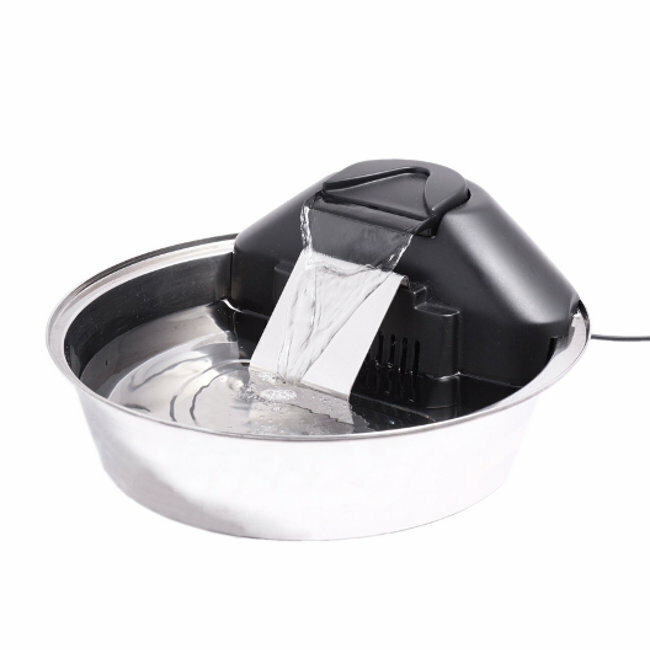 A 3-layer charcoal filter removes bad tastes and odors from the water. 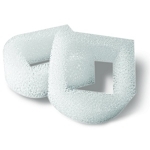 Constant circulation of the water also inhibits bacterial growth between cleanings. 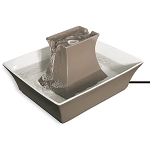 The wide stainless steel drinking bowl is hygienic and easy to clean. A 3-layer charcoal filter removes bad tastes and odors from the water. 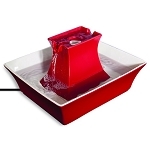 The drinking bowl features a large drinking area perfect for dogs and cats of all sizes. Although I haven't had it very long, I am very pleased. My cats are happy. It is easy to clean and there are not so many parts. I can say nothing but good things about this product. The water fall sound was too loud to be placed in the common area between our kitchen and mud room, therefore I had to return it for a quieter fountain.